Apparently the job of prime minister is easy, but it’s done by worthless people. That’s the message from educated and intelligent adults on Twitter, delivered with sneer or abuse. We’ve witnessed a vicious public send-off for someone the country elected only two years ago; a modern stoning. I’m not giving examples; if you were watching, you know it. Australians seem unable to acknowledge the commitment or contribution of anyone they disagree with. Meanwhile, on the losing side of Liberal politics, invective for the successful challenger. 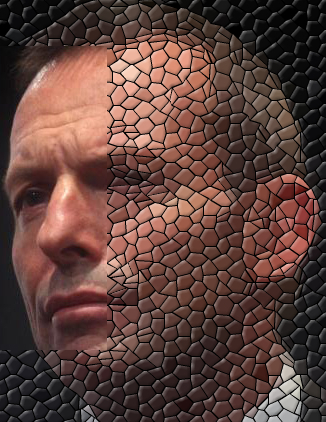 I’m still waiting for the tweet: I acknowledge Tony Abbott’s extraordinary commitment, now let’s empower the new guy. Abbott’s final speech as prime minister was authentic and positive. It contained one negative comment which was the focus of almost all reporting. He dared to criticise the media, describing commentary as “mostly sour, bitter, character assassination”. It is an accurate description and it points to a fundamental weakness in Australian culture. We cannot listen powerfully to people who say things we disagree with. And all we are left with is our own righteous opinion. A piece in The Conversation ended; ‘The perilous state of Australian political culture… might be cause for concern – but sometimes, you’ve just got to laugh.’ I haven’t read any constructive articles on how to address this weakness in political stability. All I’ve seen is people putting the boot in and disguising it as humour. The great virtue of Malcolm Turnbull, we are told, is exceptional communication skills. Let’s hope they are better than the population’s.